The brand that gave themselves the logo of a crown and absolutely deserve it to be crowned on the dial. Rolex, a crown that fascinates most watch lovers like us. For me there is no brand more iconic than Rolex, the models, the vision and their marketing. Those three components maybe make it also one the most profitable watch brands. But how did it started? Who is the man that started the brand Rolex. 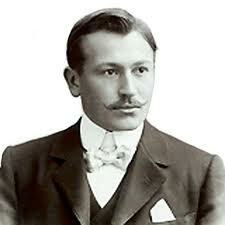 It al started with the German watchmaker Mr. Hans Wilsdorf (1881 – 1960) born in Kulmbach, Germany. At an age of twelve both of his parents died. He then was raised by relatives of his mother’s side of the family. The Meisel family, they were well-known Bavarian brewers. When Mr. Wilsdorf finished the school in Coburg, He became the apprentice of a man who was working in the international pearl business. There, Mr. Wilsdorf found out he was a real businessman. He created a high interested for technology. At the age of twenty he got a job at the watch export company named Cuno Korten, in the Swiss city of La Chaux-de-Fonds. There he was; dealing with English clients. His work with pocket watches made him more and more interested in watches and especially the precision of them. He found out that some models of these pocket watches where certificated by an observatory for their precision. In 1903, Mr. Wilsdorf moved to London. On his trip he was robbed of his 30,000 golden marks. In London he worked at an unknown watch company while in the meantime he was planning to start his own watch company. In 1905 he started – together with his brother in law Mr. James Alfred Davis – a watch making company called “Wilsdorf & Davis.” Mr. Davis had the money to invest and Mr. Wilsdorf the knowledge of watch making from his earlier job at Cuno Korten. Mr. Wilsdorf and Mr. Davis owned both 50% of the company and where equal as business partners. The company used movements from the company Aegler based in Bienne. Mr. Wilsdorf knew Jean Aegler from his work at Cuno Korten. Wilsdorf & Davis bought so many high-quality movements, that the amount to be paid was five times the firm’s capital. By 1908 Wilsdorf & Davis was one of the largest companies in the European watch industry and their product range exceeded two hundred models. The watches were sold anonymously or with a dealer or jeweller logo. But every case has the stamp of “W/D” for Wilsdorf & Davis. In 1914 the company Aegler and Rolex were so strong connected to each other that the company name of Aegler was converted to “Aegler SA, Rolex Watch Company.” It became a cooperation and it had two hundred employees; being the exclusive supplier for the Wilsdorf & Davis Rolex Watch Company. 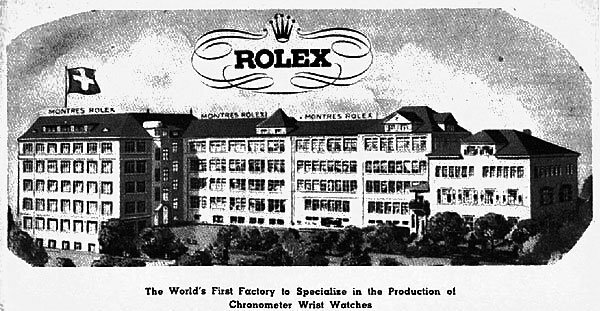 In 1919, Rolex purchased a percentage of the Aegler company and began to call itself Aegler S.A. Rolex Watch Company. Soon after that, Mr. Wilsdorf bought out Mr. Davis’s share of the company. In 1920 Mr Wilsdorf and his wife moved to Geneva. There they registered the renamed company “Montres Rolex S.A.”. Mr. Wilsdorf settled in Geneva but the factory was still in Bienne; being entirely devoted to manufacturing watch movements, whereas Geneva would focus upon creating case models. The movements were manufactured in Bienne, but the watches were assembled in Geneva. In 1925 a brand symbol was added to the brand name: a five-pointed crown, which from 1939 until today shines on all Rolex watches. As from that moment, the brand has been crowned. Rolex, a company that was driven by the ideas of Mr. Wilsdorf to perfect wristwatches in the aspects of accuracy and being waterproof, innovations that changed the world of watches. Let’s sum-up some innovations and the birth of a few of the iconic models of Rolex. In 1926, Rolex created the Oyster, the first waterproof and dustproof wristwatch. One example of successful marketing was the Rolex Oyster worn by the English swimmer Mercedes Gleitze. In 1927 she crossed the English Canal in over 10 hours and the Rolex Oyster preformed perfectly. In 1931, Rolex invented and patented the world’s first perpetual rotor self-winding movement. Automatic movements were not new at that time, but the fully rotating rotor was the first of his kind. In the year of 1945 Rolex came up with the Datejust; a self-winding movement with a date indication window on the dial. After an expedition of Sir John Hunt to the top of the Mount Everest with the Rolex Explorer on the wrist, the Explorer model was born in 1953. The icon for many collectors and watch enthusiasts is born in 1953. The first waterproof watch to a depth of 100 meters. And the recognisable rotating bezel to read the immersion time. The GMT-Master was developed for pilots who were dealing with different time zones. In 1955 it became the official watch for several airlines, amongst them also Pan Am. The GMT-Master has a two-tone bezel for daytime and night-time. In 1956 Rolex added the days of the week tot the Oyster model. The Day-Date was born. The fist watch that displays the day date and the day of the week. The name suggests it, it has something to do with Gauss. This watch was developed to stands the magnetic fields up to 1000 Gauss, it was introduced in 1956. It was noticed by the scientists at CERN who were wearing the Rolex watch at their research centre, that the watch has such sophisticated components that helped protecting the device from magnetic interference. 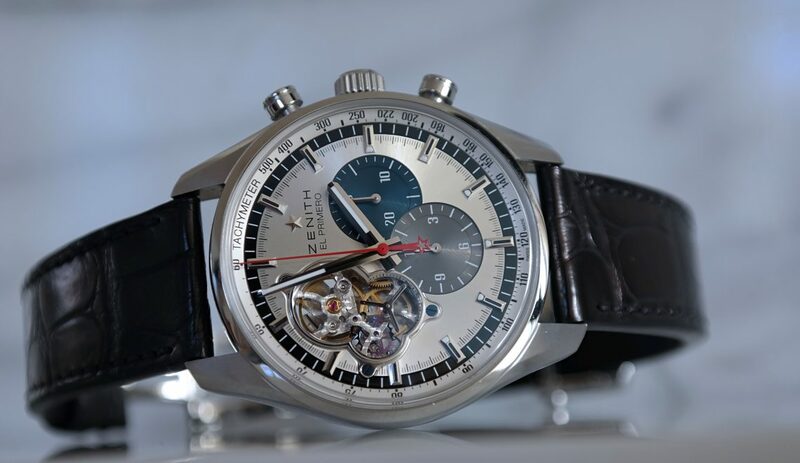 Launched in 1963 as a new-generation sports chronographs, the Cosmograph. It soon gets the name Daytona because of the connection to the 24hour race at Daytona. It was a waterproof chrono with tachymetric scale on the bezel to calculate your average speed. All winners of the 24hour of Daytona received this Rolex model. And Paul Newman makes this model more iconic than it was by his own formal named dial of the Daytona. In 1967 Rolex makes its Submariner more capable for the real professional use. 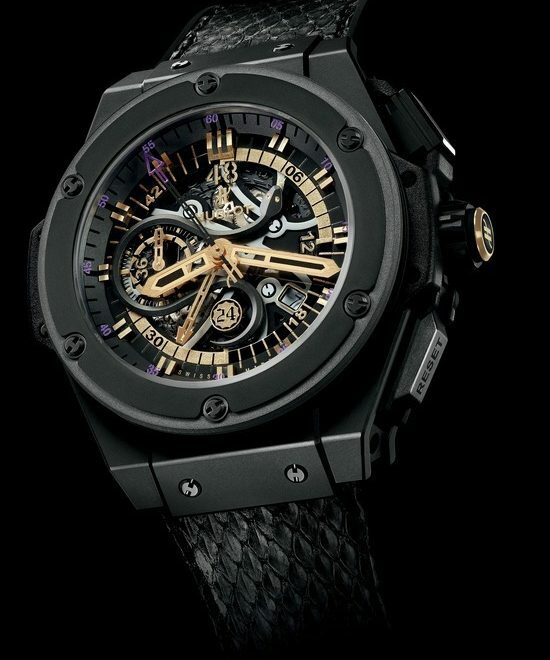 The Sea-Dweller was waterproof to a depth of 610 meters. And equipped with a helium escape valve. Nowadays the Rolex brand is still based ont those icons and innovations. They improving and improving the models of those days. Never a daring design or strange complications only schaving and improving the icons.